Trystan Swale was flying solo on the latest edition of Fortean Radio. His co-host Anna Nimeton and Andy Russell were not available, but Swale is an old hand at podcasting and was quite proficient at carrying on by himself. Swale opened the episode discussion a recent alleged UFO photograph, which now appears fairly certain to be hoax. 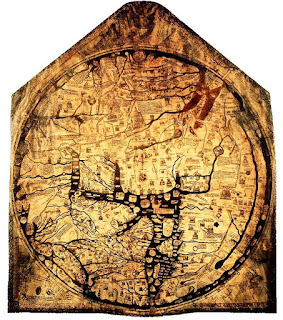 Swale followed up this piece with an interesting discussion of Mappa Mundi found in the Hereford Cathedral. This medieval map shows the world as then known with heaven above Asia, Europe and Africa with the world centered on Jerusalem. The map also contains pictures of exotic animals some of which turned out to actually exist, such as the elephant, and others such as the griffins, that appear to only be in lore. Trystan compellingly discusses the map contents including pictures of other races of humans. Some of these humanoids have the heads of animals with a person’s body, and others have no heads but their faces on their chests. In many ways Swales discussion of the Mappa Mundi at Hereford Cathedral was one of the more compelling and unique segments I have heard in a podcast in quite some time skeptical, scientific, or other. It was a weird and wonderful exercise in experiencing a slice of experiencing the Fortean world. The interview for this episode was of Anthony Hogg who authors the blog ‘Did a Wampyr Walk in Highgate.” The blog is dedicated investigation of the alleged Vampire of Highgate. A vampire incident that allegedly occurred in late 1960’s Britain. Interesting, Hogg resides half a world away in Australia, but became interested in vampires as a child. Hogg is skeptical that there was a vampire. He basis this opinion not only on the available evidence, but also due to the lack of scriptural support for the existence of vampires. 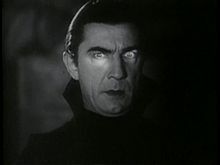 In my mind Bela is it. Fortean Radio is not a skeptical podcast. It a podcast dedicated to discussing the odd and strange, but not copying the Mysterious Universe model. At least in this episode, Swale assumes the listener is an adult and in for a good listen rather than a debunking. He was in fine form, and produced a top notch Fortean episode. Thanks Nigel. If nothing else FR has been liberating; I can be me!